Saturday’s racing drew on with what best could be described as a ‘mixed outlook’ of possible forecasts for the buoy racing portion of the 2010 Sarcoma Cup. We found every forecast from 10-15 kts, to 30 plus with gusts to 45 kts on the internet. 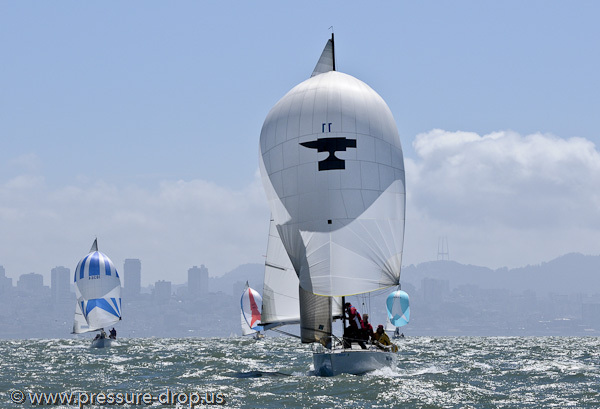 Berkeley Yacht Club would certainly have their hands full with such heavy conditions that could occur. What played out were varying conditions ranging from mid teens to mid twenties, which was more then enough to give some of the fleet a blast of off wind sailing. 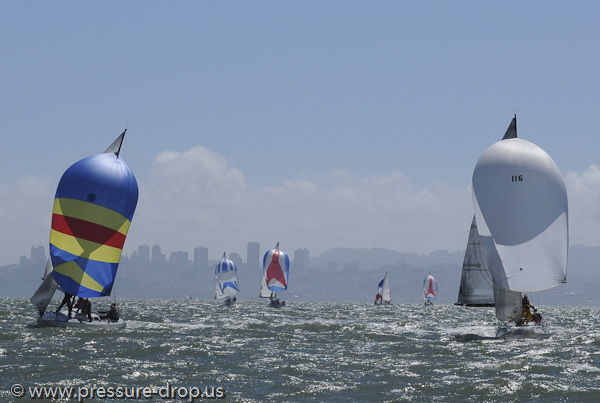 Berkeley Yacht Club handled the fleet racing nicely with the help of Richmond and South Beach Yacht Clubs. The usual race to the right was the name of the game throughout the day with the flood conditions, luckily we didn’t get the washing machine affect from the flood as is usually the case. The three top spots were vied heavily between Witchy Woman, Get Happy, and Magic Bus, for each of the three races. Witchy won the day with a 1,2,1; while Get Happy cleared Magic Bus with a 2 point margin for second. 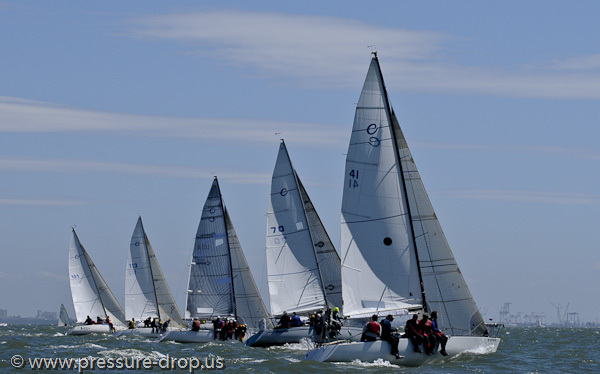 Nine boats sailed in what would be the final tune up before the 2010 National Championships. Berkeley Yacht Club, held a nice party after racing which included water taxi service (very cool) for those of us staying in the hotel right across the harbor. The live band, complimentary wine, and festivities, all made for a good atmosphere, supporting an excellent cause. Big thanks to Nathalie Criou and the Sarcoma Cup team for all their hard work for a cause that is more then worth supporting. 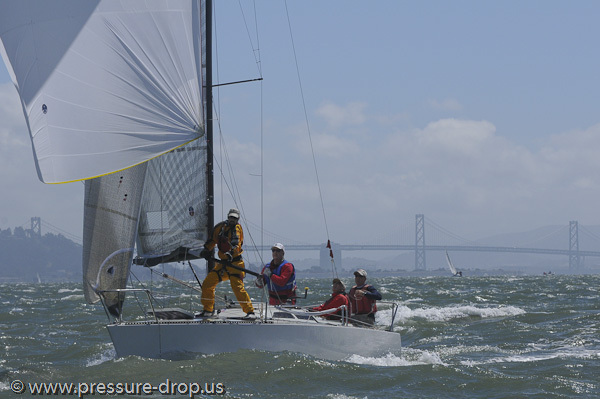 Welcome Neal Holmlund and his Express 27 # 91 ‘Risk’ to the fleet, this was Neal’s first regatta as a new owner.